I’m about Lin-ed out — hopefully when the Knicks get back on the court after the All-Star break they’ll win some, they’ll lose some and Lin will settle into being a team leader without all the crazy hype swirling around him. But one of the coolest side-effects of his sudden rise to fame — let’s call it the Jeremy Lin effect — has been a very public discussion of complex racial issues, the type of conversations in the media and in bars and livingrooms and offices and classrooms across the country that haven’t been uttered since… Barack Obama’s 2008 presidential campaign. Only this time, there’s the added element of racial issues involving Asians and Asian Americans. It’s been fantastic, although at times it’s been frustrating too, because when seemingly benign slights are pointed out, the anti-P.C. police strike out and tell us to stop being so sensitive and get a sense of humor. Yes, it’s true that one reason these stupid missteps are made is because of the novelty of having an Asian American in the NBA spotlight. But seriously, would Ben & Jerry’s come out with a custom-flavored ice cream based on an ethnic stereotype for a sudden star who’s African American, or Latino? Watermelon? Taco-flavor? I hope one message that has been made clear in the past few weeks is that it’s not OK to treat Asians with different standards. Racism is racism. And there’s no such thing as a “good” stereotype, either — stereotypes limit people, even if they’re what would be considered commendable values such as hard-working, or smart. One sports anchor on an Asian American media email list pointed out that unconsciously or not, a majority of reports he tracked just happened to point out Lin’s “smart” basketball skills. So when I was asked at the last minute to give a tribute to Gordon Hirabayashi, a pioneering Japanese American civil rights leader who passed away recently, I used it as an opportunity to extend the dialogue about race and opened my tribute with Lin. The occasion was Day of Remembrance, when Japanese Americans commemorate the Feb. 19, 1942 signing of Executive Order 9066 by President Franklin D. Roosevelt, which led to the incarceration of over 110,000 people of Japanese descent in American concentration camps during World War II. The Mile Hi chapter of the JACL holds an annual event to mark the date, with speakers and a presentation about the history of Japanese American internment. This year’s like the last several, was held at the University of Denver’s law school. Hirabayashi was one of four Japanese Americans who fought the order to the Supreme Court (and lost, although they were cleared decades later). He died on Jan. 2 after a long struggle with Alzheimer’s. I knew about Gordon but not his full biography. So when I learned I had to pull together a speech in a few minutes, I pulled out my smartphone and did some quick research online and jotted down notes. While I was at it, I checked the NBA scores to see how the Knicks were doing against the Dallas Mavericks. As I stepped to the podium for my short speech, I pulled out the phone again, and waved it to the crowd. “Jeremy Lin and the Knicks are winning right now, and it’s the fourth quarter,” I said. Most of the crowd laughed, and nodded their approval. A couple of people nodded knowingly â€“ they’d been checking the score too. “Jeremy Lin is why we’re here to mark the Day of Remembrance, and why I want to say a few words about Gordon Hirabayashi,” I said. Two nights earlier, Lin had lost his first game in two weeks, and an ESPN headline that was briefly online after the game read: “Chink In The Armor.” It turned out an ESPN anchor also used the phrase earlier on the air, and it was also used on ESPN radio. The sports network acted swiftly, and fired the editor who wrote the headline and suspended for 30 days the anchor who made the comment. Other instances of racial stereotyping emerged in the wake of Lin’s success: A Fox sports commentator tweeted an offensive sexual comment about Lin and apologized, calling it his comedic, “sophomoric” side. Boxer Floyd Mayweather tweeted that Lin was getting the attention only because he’s Asian, and that black athletes play just as well without all the accolades. The Knicks’ TV network showed a fan-made sign of Lin’s face coming out of a fortune cookie. First of all, fortune cookies aren’t Chinese even though they’re commonly served in Chinese restaurants and second of all, would an image of a black person with a food stereotype, say fried chicken be acceptable? Oh wait, that’s right — President Obama was attacked with racist images and posters Photoshopping his face with watermelon and fried chicken. For his part, Lin has been gracious and said he didn’t think the ESPN journalists meant it when they used the “c-word” (he’s faced that word, and many other racial slurs, during his entire college and pro career), and has moved on. But the incident has sparked a national debate that’s long overdue, about racism against and stereotyping of Asians, which seems to be far more acceptable in mainstream America than against any other ethnic group. That’s how Jeremy Lin is connected, in an unbroken line, with Day of Remembrance and Gordon Hirabayashi. He’s part of a timeline that stretches back to the Gold Rush days of the 1840s and ’50s, when Chinese miners were discriminated against, chased out of their mines, and exploited as low-cost labor; to the 1880s, when the Chinese Exclusion Act â€“ the only anti-immigration law in U.S. history to blatantly name one ethnic group â€“ banned Chinese completely; to Alien Land Laws enacted to prevent Asian immigrants from owning property; and to Feb. 19, 1942. Racism was at the root of all those injustices, and racism still exists today, just a casual scratch below our society’s supposedly post-racial, evolved, politically-correct skin. It oozes out even as the country celebrates the arrival of a sports star who’s become a beacon of inspiration for Asian Americans, to smear the spotlight with its greasy ugliness. I bet Gordon Hirabayashi would have loved to follow Lin’s career, and would have been pleased that the Knicks won on Day of Remembrance. Just as a matter of clarification, the writer Greg Cote and his editors at the Miami Herald are confusing “nationality” with “ethnicity” in this opinion article: “Jeremy Lin overshadowing Miami Heatâ€™s great run” Nationality refers to the country of one’s citizenship, therefore Lin is American. His ethnicity is Asian American, or more specifically, he’s of Taiwanese descent or heritage. It may seem like a little thing, but the lack of understanding of these terms is one of the side-effects of the race-related issues that have put a damper on Lin’s sensational story the past couple of weeks. The mainstream media more than anyone should be careful and accurate, and not fall into easy assumptions and incorrect terminology. The editor might well have made an honest mistake. Most Americans â€” particularly those who are fastidious about cultural sensitivity and horrified by any charge of racism â€” donâ€™t think they have anything to learn when it comes to Asian-Americans. They are accustomed to seeing us as model minorities, accepting us as honorary whites (often with the unthinking condescension that term implies) or dismissing us as foreign, exotic or irrelevant. They are not accustomed to one of us becoming an overnight basketball phenom â€” or to hordes of us shouting our anger at an egregious offense, as is now happening. Then conservative commentator Michelle Malkin, who is Asian American herself, chimes in with her predictable perspective, and tells all of us to get a life. 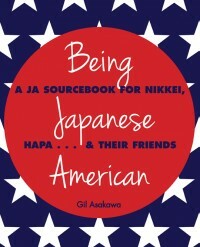 Malkin also wrote, in a 2004 book “In Defense of Internment,” that she believes interning Japanese Americans during WWII was the right thing to do and advocated the U.S. round up Arab American because of 9/11. Ben & Jerry’s apologized for rolling out a “Taste the Lin-Sanity” flavor frozen yogurt in their Cambridge, Mass. shop (that’s where Lin’s alma mater, Harvard, is) that featured fortune cookies and lychee nuts — a really obviously shallow and yes, stereotyped ethnic association, the type that they probably would never make with any other ethnic group. Eggroll and dumplings? Really? Even though he’s a punk right out of high school, that’s no excuse for thoughtless racism — especially from an African American. I love how the media frenzy and even the racist aspects of Lin’s rise has led to Asian Americans in the media speaking out, like Ohm Youngmisuk on ESPN. The CU Independent, the student-run news website of the University of Colorado (full disclosure: I’m the staff adviser to the CUI) has a sports editor, Marlee Horn, who is hapa and who wrote about Lin’s Asian American identity, including CU Buffs baller Sabatino Chen in the discussion. Jeremy Lin talks on camera about stereotypes. Saul Gitlin in Huffington Post writes how Lin may have opened the door to corporate America paying attention to Asian American consumers. AAJA’s Jam Sardar was interviewed by ESPN Radio 104.5’s “Game On with Bruce Jacobs” show, and explained AAJA’s efforts to fight institutionalized racism in the face of irritating skepticism from the host. Good job, Jam. Though it’s not quite on-point for a discussion of Lin and racial issues in the U.S., a friend sent me a link to this Feb. 20 commentary by Stanley Crouch in the NY Daily News: “Seeing the dragon of racial prejudice: The Chinese bias against African-Americans.” I think it’s a related issue, because Americans’ view of China (negative) clearly impacts the perception of Asian Americans in general. And I certainly wouldn’t deny that Chinese (and in my experience, Japanese) have racist views of almost everyone who isn’t Chinese (or Japanese), and especially black people. The specific issue of Asian-black relations is worth noting and understanding — look back on the LA riots and the tensions between Koreans and African Americans in New York — but I think it’ll become a topic for a blog post on another day. Still, Crouch’s column is certainly worth reading. BTW, anyone interested in Asian America should already be reading Angry Asian Man, Phil Yu’s blog that comprehensively covers the scene. Do a search on “Jeremy Lin” on his blog and you’ll find he’s been covering the player since long before he played his first game with the Knicks. But since Linsanity broke out, Phil’s been compiling blog posts of links to stories around the web that are much more complete than anything I can assemble. (Thanks for the callout yesterday, Phil!). “My Thoughts: Lin phenomenon breaks a self-stereotype“: Jin Yang, a journalism professor at the University of Memphis, writes a commentary in the Memphis Commercial Appeal newspaper about how Lin’s success made her realize the self-stereotypes that Chinese Americans (Asian Americans) perpetuate on themselves. Sure, it may be a stereotype of the mainstream that Asians can’t compete in the NBA, but Chinese families hold down their kids with the stereotype too. It’s an interesting perspective that I haven’t seen much yet, by an Asian immigrant who’s following the Lin phenom. Nice: ESPN piece about how Asian American basketball leagues with this article focusing on a Boston team, have been affected by Lin’s success. There are a lot of AAPI leagues. In the Japanese community they started decades ago when the YMCA wouldn’t allow Japanese (and probably other Asians) to join their leagues. That’s why so many Japanese American Buddhist temples have gyms attached — it’s where the community could get together and play basketball and volleyball.) Though some might find her smug and irritating, kudos to the reporter for being the first that I’ve seen to track down Amy “Tiger Mother” Chua for her thoughts on Lin. Missed this one by Stuart Leung when AsianWeek ran it on March 5: Story about Lin’s importance to AAPIs that starts with a man in a bar yelling the “c-word” to a group of Asian Americans (including the writer) after the first game the Knicks lost with Lin, against the New Jersey Nets. 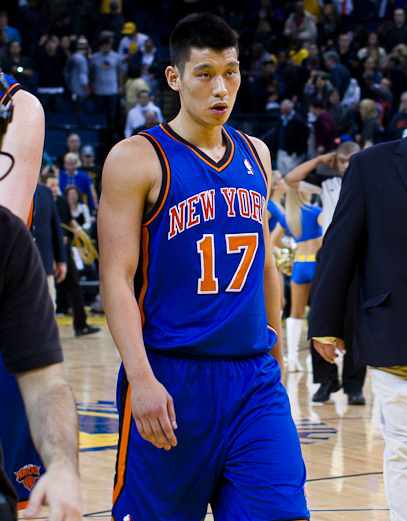 Tagged asian american, day of remembrance, gordon hirabayashi, jeremy lin, linsanity. Bookmark the permalink.